Travel to Albania! 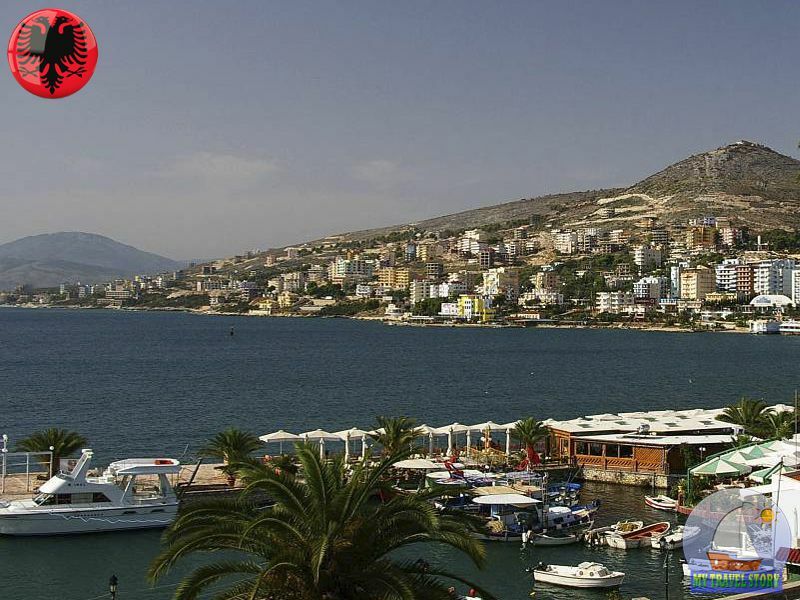 Albania relatively recently started to develop tourism infrastructure and to open a civilized strangers. About local attractions little known, so it is even more intriguing travelers. In Albania, and indeed there are many interesting and unusual places, everything we do not describe – but some of you will read in this article. 427 kilometers of Albanian territory adjacent to the sea. Gradually, the local authorities are beginning to use this potential – built hotels, expanding road network, sprinkled beaches. Is constantly updated and lists places of interest. Tourists had time to visit Albania is recommended to travel by rental car or as part of tour groups. Museum of guerrilla warfare. To see the exhibits of the museum, you have to go from Tirana to the south-east – to the ancient town of Elbasan. Enjoy the contemplation of the Royal Mosque, fragments of Roman fortifications and bazaar gate, point to guerrilla foot museum. The exposition contains items which once owned the guerrillas (the ones that fought with the Italian occupiers in 1944): letters, uniforms, drawings, photographs and documents. Ancient road Egnantia. This “backbone”, folded his hands of Roman slaves of huge stone blocks, before crossing the province of Rome, and now amazes tourists. Go to Durres – is there a way originates. However, to move on the road, we do not recommend walking – it stretches over 1120 kilometers. The joints between the slabs are covered with grass, but it is not easy to eradicate the imperial grandeur. Venetian Tower. While we have not yet left the Durres survey is its architectural treasures, among which occupies a leading position in the Venetian Tower. However, the greatness of the ancient Byzantine slightly spoiled later graffiti painted on the wall of the Tower, but what to do – the cost of modern civilization. Generally, several towers in Durres – they can be inspected free of charge. In the interest of our youth Tower has a popular bar with very democratic prices. Mosaic House. Localized halfway between Durres and Fieri (from the last – only 12 kilometers). The ancient monument, typical of Mediterranean cities. Mosaic House is found among the ruins of ancient Apollonia. Mosaic is perfectly preserved, it is also worth taking a look at the fountain. Ancient amphitheater. Durres – a city of contrasts. Imagine a Greek amphitheater, adjacent to the modern high-rise buildings – looks pretty comical. Location of this structure – RrugaSotirNoka. Amphitheatre surround-preserved fortress walls, towering on the hill. Bunkers. Yes, it’s very real bunkers, cut deeply into the ground and covered with grass. Once they had built dictator Hoxha. In the vicinity of Durres bunkers everywhere. No way – the legacy of a troubled era. From a distance bins may seem a huge boulders, hidden in the shade of the trees, but do not let fool you. By the way, for all his wildness to European tourists in Albania bunkers look naturally – they are literally everywhere (in the fields, on the slopes, and even the middle of the street). High-altitude restaurant. The panoramic restaurant perched on the roof of a multistory building in the southern districts of Durres (RrugaAtErazmi). It offers a magnificent view of the promenade, the port and the historic center. There is a charm to the leisurely sipping coffee and admiration of passing ships. Sea air at a height surprisingly fresh and pleasant. The building of “Pyramid”. This structure is localized on BulevardiBajramCurri in Tirana and is somewhat reminiscent of the glass pyramid of the Louvre (the similarity, though distant). To design objects daughter of EnverHoxha – Albanian communist dictator. For a long time there was placed “dictatorial” museum, and now the building belongs to the club with the ominous title “The Mummy.” Note the Peace Bell, cast in shells and cartridges – it stands directly in front of the building. National Park of Drilon. If you are straining urban bustle – go to Pogradec, and from there – to the west, to the stunning landscapes of Drilon. This site is adapted for outdoor recreation. Be sure to visit on Lake Ohrid – a European body of water deep. Here is found the Ohrid trout, and scattered on the banks of the many restaurants, tourists are treated to fish dishes. Look also to the underground freshwater sources and ancient Christian basilica. Bridge Golik. Once you have called in Pogradec not apply to stroll across the bridge Golik, pulled out of Albania inherited from the Ottomans. Stand up here is completely free – listening to the murmur of water and thinking of past eras. Golik became part of the Roman road, paved most of Durres and stretching to the ancient Constantinople (the present Istanbul). Ottoman bridge is part of the mandatory program of excursions Pogradtsa. Rozafa Fortress. Localized strengthening it in the town of Shkodra. At the fortress of Berat it is one of the most popular defensive structures in Albania. The rocky hill on which stands the fortress, bordering the Drina and Bojana. To reach the castle, you have to leave town and start climbing the steep cobbles, scrolling down the hill. Locals say the legend of the beautiful girl Rozafa allegedly immured in the wall. Spring “Blue Eye”. It is difficult to find in the south of Albania, a place more beautiful than said spring. Buy a ticket on the bus, plying between Zhirokasterom and Saranda, and then get off halfway. In the middle of the route the driver stops to refuel – this is your chance. If you talk to a driver ahead of time, it will slow down and drop you off at the turn to the national park. Then – three kilometers on foot. Nearest signs – hydroelectric power plant and the river Bistrica. Travel to Albania! Albania relatively recently started to develop tourism infrastructure and to open a civilized strangers. About local attractions little known, so it is even more intriguing travelers.